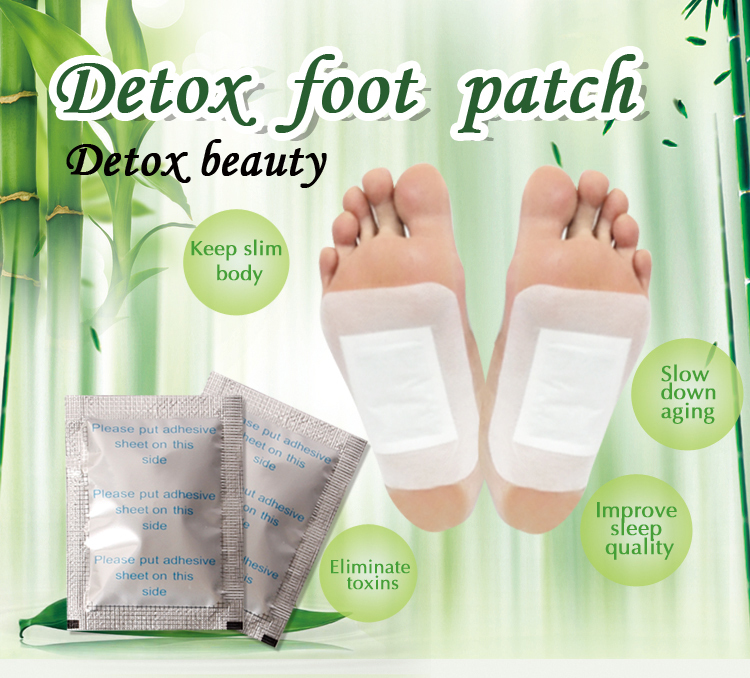 Product categories of Foot Detox Pads, we are specialized manufacturers from China, Foot Detox Pads, Cleansing Detox Foot Pads suppliers/factory, wholesale high-quality products of Kinoki Foot Pads R & D and manufacturing, we have the perfect after-sales service and technical support. Look forward to your cooperation! Packaging: 1.Bulk:1 pc in a pp bag,100 pcs/plastic bag. 2.Boxes: 10pcs/20pcs in a box.Carton size(60*42*42cm),various OEM design is available. The wood vinegar detox patch has been researching the bamboo for 26 years, after the 26 year`s researching, they discovered an amazing fact: A mature bamboo will absorb 3-4 tons of water per day from the underground. The bamboo has the super-absorb ability. Put the high quality bamboo under high temperature, after several days, the researchers got the bamboo vinegar liquid, which also have the super-absorb ability. But the bamboo vinegar liquid can not be delivered and used conveniently. In order to solve this problem, the professor invented special high technology to solve this problem. Use this special technology, the PHD distilled the bamboo liquid. And finally get the bamboo vinegar extract. Bamboo Health essence powder, chitin, vitamin E, Agaricus blazei, wormwood extract and other natural extracts. [Applicable population] Sub-health group, long-term use of sub-health state can have a secondary role in conditioning.